Beach Wedding Photos are always a favorite. This photo is especially cool because of the vantage point of the bride and groom. There was a bluff that I was standing on, and it gave me the ability to keep the sun out of the photo but still capture the sand and water, which is what people want. 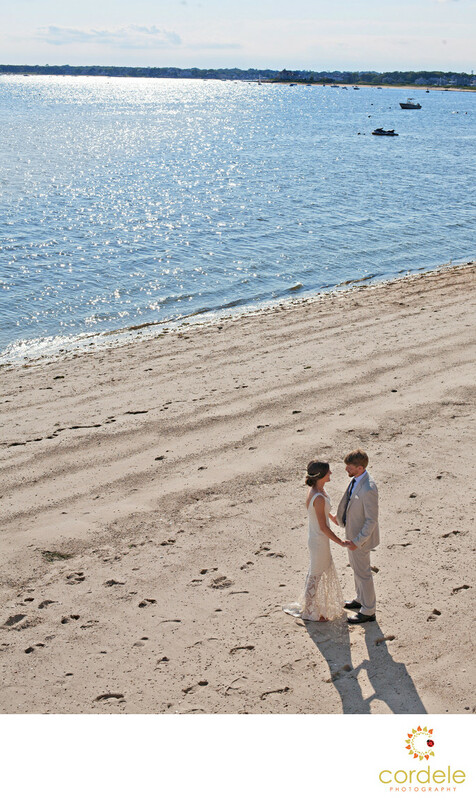 This wedding took place in Hyannis on Lewis Bay on Cape Cod. I grew up on the Cape so to be able to shoot weddings there, is always such a treat! The bride had such a lovely day and we were so lucky.